Have you heard of the term myofascial release? How much do you really know about what you are doing when you beast yourself on the foam roller at the end of your workout? No pain, no gain right? Well before we unpick the bones of Myofascial release (MFR), first let’s remind ourselves what all the fuss is about fascia. Fascia is the fabric that holds you together. You are approximately 70 trillion cells existing in relative harmony and fascia is the protein structure that holds them all together. Historically fascia was an overlooked and under appreciated structure, viewed as the thing that was in the way of getting a good view of the muscles in the body. Anatomically it was defined as a specific flat, sheet-like structure which provided an attachment for several muscles in an area e.g the thoracolumbar fascia. John F.Barnes (International expert on MFR), bases his principles of MFR on Einstein’s famous formula E=mc2. Interestingly, he relates the meaning of the the formula to understanding the dysfunctions associated with the myofascial system the principles behind treating them. The formula illustrates that solidity is only an illusion and that everything is energy; different frequencies of vibration of energy, to some degree or another. Barnes advocates that trauma (and I would add to that; inefficient posture and motion) can significantly change the force vectors passing through the body. This can disrupt the ability of energy to flow freely through the body, resulting in further dysfunction, inefficiency, altered bio-mechanics, injury and pain. Barnes likens the myofascial system to being the’ fibre optic’ communication system of the body. And hence, a blockage in transmission with lead to a failure to function. Myofascial dysfunction is something that affects all of us, at some point in our lives, to a greater or lesser degree. This can be caused by anything that changes the optimal, harmonious relationship between the muscles and the fascia within the body. From the obvious such as serious pathologies, trauma and surgical procedures to the more subtle things like a change of running shoe, change of car and driving posture or an inappropriate increase in a training element. Being a physiotherapist, myofascial dysfunction is something I see in clinic on a daily basis and I’m sure as a fitness professional it is something your path crosses also. Not sure? Ever heard of the phrase “It’s seen you, even if you haven’t seen it”? When an issue doesn’t resolve with the obvious e.g calf tightness with calf stretches, then consider fascial involvement. Wether it’s lateral knee pain as a consequence of a lumbo-pelvic pathology or scapula dysfunction, or elbow pain from a rib cage problem, MFR plays a significant role in rehabilitation and optimising function. I believe education and empowerment is key and teaching our individuals self manage techniques is crucial. 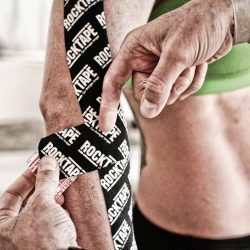 ROCK TAPE have created specifically designed tools to help individuals MFR effectively. Be that using a ROCK BALL ball to release the build up of tension around upper trapezius and levator scapulae or using the ROCK N ROLLER (foam roller) for releasing the gluteus medius and proximal hamstrings. ROCK TAPE can be applied to ‘offload’ structures, redistributing forces and promoting healing of soft tissues. 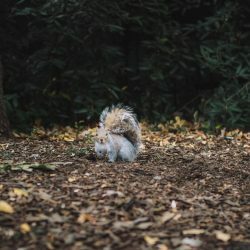 There are many techniques and uses for these products. The basic principles of MFR are that pressure is applied for 30-45 seconds to tension / trigger points in the myofacial system to release the excessive tension. The key to effective use of these techniques is coupling them with complimenting exercises and having a strong understanding of current, functional anatomy. With that knowledge comes the power to unlock one’s true potential to maximise their functional performance. Want to know more about how to do this? HFE and ROCK TAPE provide a range of courses that will give you all the tools you need. See the HFE website and ROCK TAPE Education for more details. Pick up a good vibration with HFE and MFR. John F, Barnes PT, LMT, NCTMB: (2016); The Myofascial release approach.